The Fontenelle Forest Bird Club (a.k.a. The Down and Dirty Birders) welcomes everyone interested in birding to join the growing number of people who find birding to be an enjoyable and relaxing hobby. We offer regular monthly field trips to local birding sites, as well as regional, national, and international destinations. To become a member, please fill out this application here and bring to a meeting along with your yearly dues. For questions about membership or activities, please contact 402.731.3140. Club Meetings are held The first Thursday of each month at 7:00 p.m. every month except July and December, at the Fontenelle Forest Nature Center, unless otherwise announced. 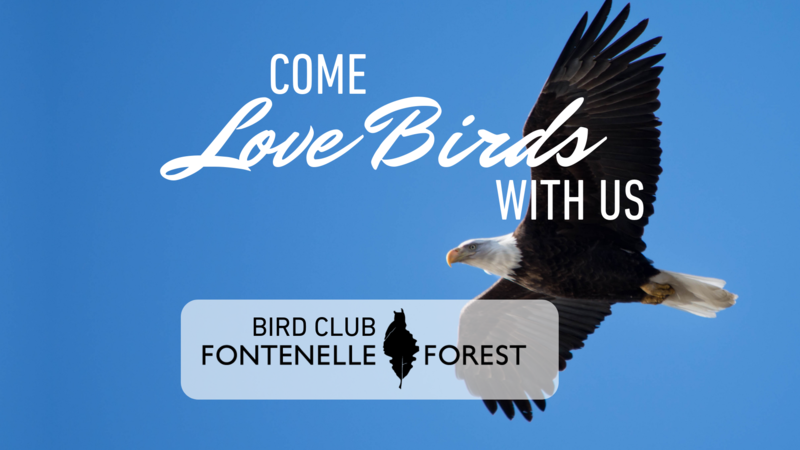 Cost of Membership: $12 per individual/$18 per family per year + Fontenelle Forest membership.